Amniotic band syndrome is a condition that occurs about one in every 1,200 to one in every 15,000 live births. This makes it fairly rare to experience, though it is estimated to occur in about 178 out of every 10,000 miscarriages. The effects of this condition can be widespread, varied, and drastic in a range from mild to severe. While there are still no definitive answers as to what causes amniotic band syndrome, the leading theory is that a complication in earlier pregnancy leads to this problem. The amniotic sac is made up of two layers, the amnion, and the chorion. The amnion is the layer that is closest to your baby. These two layers are very thin and adhere to one another, but are still technically separate from one another. Amniotic band syndrome occurs when parts of the amnion, the inner layer of the amniotic sac, break. The strands of amniotic sac can adhere to or cross parts of the baby—these are the bands. This adhesion can inhibit growth, blood flow, or both. This can result in a complex series of birth defects, often missing digits or limbs, cleft lip, and occasionally other anomalies. It is thought that the amniotic bands can occur in early pregnancy and in late pregnancy from potentially random incidences in pregnancy. When these breaks occur in pregnancy can decide how severe the complications will be for the baby. For example, early on, the risks are much more devastating, whereas a band appearing later in pregnancy may have no effect whatsoever. What Does Amniotic Band Syndrome Mean for My Baby? While your concerns about your baby are foremost in your mind, there is positive news in that this is not something that usually alters your pregnancy length. Most mothers have no additional risks to themselves or their pregnancy. Though there may be a slight risk of delivering your baby slightly earlier than term. One issue that may not be adequately addressed would be the social and emotional stress of having a baby with a complication as complex as this one. Also, when you look at the fact that there are not a lot of other infants who have these issues, finding support from parents who have been in your situation may not be as easy as you would hope. There are some online resources and stories from other families who have been through this situation, many who are willing to share with you. Though the issue may be that you won't be likely to find someone with the exact same conditions, given the wide range of possibilities. If you are able to get into one of the fetal centers that do the surgery to treat amniotic band syndrome, they may have a better built-in support network. In the absence of other people who have been through identical circumstances, talking to professionals who deal with parents in crisis can help. Your local perinatologist or neonatal intensive care unit may have a list of resources, even before your baby is born. As with any complication in pregnancy, we are often looking for the reason why this occurred. The truth is, we are still trying to figure out the exact cause of amniotic band syndrome, which complicates a look at the risk factors. This is further complicated because it is so rare. That said, we do have some leads on what may increase the risk of this rare complication. One study looked at a very small number of women but found that those who had had prior uterine surgeries had a higher incidence of amniotic band syndrome. Another study looked at the risks of this complication after chorionic villus sampling (CVS). This is an invasive genetic test, where some of the chorionic villi are removed to determine genetic conditions in the baby. The hypothesis is that the puncturing of the amniotic sac in order to receive the material causes the banding to occur. There is also a question about whether or not the same risks would apply to amniocentesis, performed later in pregnancy. There was another small study that showed that there was an increase in amniotic band syndrome when a mother had been exposed to the drug Misoprostol in very early pregnancy. This is typically given as a way to induce an abortion, and not a common medication to be given to pregnant women. How Would I Know If My Baby Had Amniotic Band Syndrome? Currently, there is not any way known to prevent amniotic band syndrome from occurring. While we do see that some of the cases may have involved invasive prenatal testing, like chorionic villus sampling (CVS), the numbers of women choosing invasive testing have gone down dramatically as less invasive tests are available. There are also general recommendations for a healthy pregnancy that can be followed to ensure your best bet in terms of reducing birth defects. This is usually a part of preconception care. How Severe Will the Problems Be? The severity of the complications from amniotic band syndrome depends on various factors. This includes how early in the pregnancy did the strands attach to the body part or come loose. The earlier in pregnancy this occurs, the more complex the problems tend to be. There are two potential ways to treat amniotic band syndrome: before birth via fetal surgery and after birth with a variety of surgeries and therapies. In the vast majority of cases, amniotic band syndrome is usually not treatable until after birth. Usually, at this point, there is merely care for the symptoms and therapy to treat the damage that may have already occurred. This may include physical therapy, orthopedic surgery, oral and maxillofacial surgery, or even palliative care. The therapies and surgeries used will depend on what body parts are affected and the severity of the damage. There are some new treatments being done in a few centers across the United States via fetal surgery to treat some cases of amniotic band syndrome during pregnancy. While not every case is an appropriate one for surgery, this is a discussion that you would need to have with a specialist. Fetal surgery would usually require you to travel to one of these centers for the treatment and surgery. This may or may not mean that you would need to stay near the center until you gave birth. For the fetal surgery, a pencil tip-sized tool is inserted into the uterus. It is used to break apart the band to release the band away from the limb or body part. Sometimes the results are dramatic, with one surgeon saying, that immediately upon using a laser to remove a band from a baby's leg, the leg turned pink again as the blood flow was restored. The use of fetal surgery for treating amniotic band syndrome is not without controversy. The two most common types of surgery involve removing a band that is threatening the umbilical cord, which, without the surgery, the baby would most likely die; or removing a band to prevent amputation of a limb. The risks of surgery include infection, complications from anesthesia, premature delivery, and other complications. These risks can be deadly and have meant that not everyone is supportive of doing fetal surgery to save a limb, because, while difficult, the amputation of a limb is not deadly. These are ethics issues between the parents, practitioners, and the ethics committees of the various hospitals. There have not been many surgeries or studies, but the small studies that have been done show a promising success rate of about 50 percent. This does not sound like a huge success rate, but given the experimental nature of fetal surgery and the added risks of needing to continue the pregnancy, this is considered a high rate of success. The hope is that the more surgeries that are done, the higher this rate of success will become. This depends on finding the optimal cases, but also in refining the procedure and post-procedure care. If you experience this during your pregnancy, you may wonder if this will happen again in a future pregnancy. This is considered a non-repeating syndrome, which means it won’t likely occur again. Though obviously if you can avoid the potential risk factors or mitigate or reduce the occurrence, you may be able to give yourself some peace of mind. 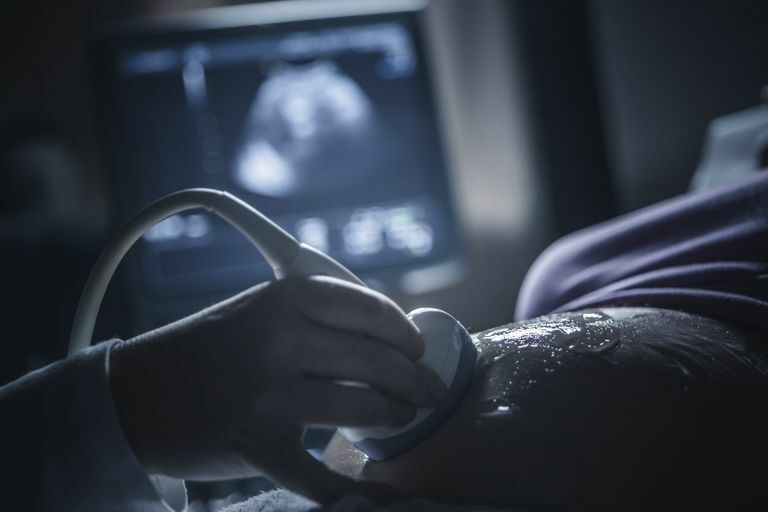 Barzilay E, Harel Y, Haas J, Berkenstadt M, Katorza E, Achiron R, Gilboa Y. Prenatal diagnosis of amniotic band syndrome - risk factors and ultrasonic signs. J Matern Fetal Neonatal Med. 2015 Feb;28(3):281-3. doi: 10.3109/14767058.2014.915935. Epub 2014 May 22. Cignini, P., Giorlandino, C., Padula, F., Dugo, N., Cafà, E. V., & Spata, A. (2012). Epidemiology and risk factors of amniotic band syndrome, or ADAM sequence. Journal of Prenatal Medicine, 6(4), 59–63. Javadian P, Shamshirsaz AA, Haeri S, Ruano R, Ramin SM, Cass D, Olutoye OO, Belfort MA. Perinatal outcome after fetoscopic release of amniotic bands: a single-center experience and review of the literature. Ultrasound Obstet Gynecol. 2013 Oct;42(4):449-55. doi: 10.1002/uog.12510.